One year after Hungarian Music Award-winning ‘Witchi Tai To’ the new album ‘Ly-O-Lay Ale Loya’ instantly became an audience favorite and received favorable criticism. Line-up of András Sipos (vocal, percussion), Ferenc Muck (saxophone), Tamás Barabás (bass guitar) and Attila Égerházi (guitar) produced it’s third studio album building on the musical world of ‘Witchi Tai To’. Aside from musical advancement of the album András Sipos showed his extremely colorful musical character and the talent of a genius for percussion instruments, where he played Indonesian angklung, African djembe, Arabian derbouka, Latino konga and Brazilian berimbau with exact authenticity. The quality and arrangement of some compositions like ‘Memory Of Bells’ and ‘Underwater Sunlight’ heralded an international success that Djabe became. In 2015 Tamás Barabás remixed the album using the original tracks and 24-bit and 96 kHz technique. Characteristics of his original mixing were kept in place but upgraded with up-to-date technologies. Djabe fans are already accustomed to albums also presented in excellent 5.1 surround mixing. The only missing piece was Ly-O-Lay Ale Loya, until now. This new version was worth waiting for as it is possibly the best surround album yet in the whole of Djabe discography. Neil Wilkes, CEO of DVD authoring company Opus Productions of London, UK – involved with King Crimson, Jethro Tull, Yes and Steven Wilson – stated that considering the music and sounding ‘Ly-O-Lay Ale Loya’ is one of the best albums ever released. 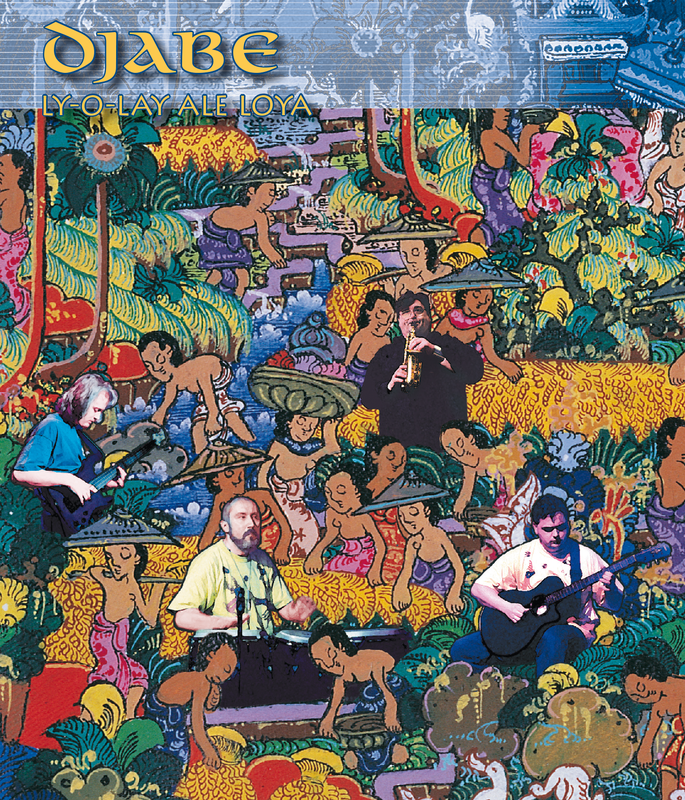 Accustomed to Djabe the album is released in DVD 10 format. Side one contains DVD-Audio compatible tracks in mlp5 and mlp5 2.0 resolution ensuring studio quality while side two’s material comprises of DVD Video compatible stereo lpcm, 5.1 DTS and Dolby Digital versions, completed by 3 relevant video clips and 1 radio interview as extras. If you are yet to get familiar with this extraordinary Djabe album – or listened to it earlier – this is an opportunity that has to be taken.